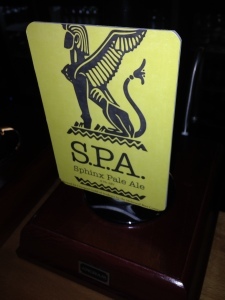 Well last night John and Julie attended the launch of SPHINX PALE ALE at the Liverpool Guild of Students and we are happy to say it was a resounding success!!! The discerning students of our fair city of LIVERPOOL really embraced the real ale ethos and enjoyed the great flavours, aromas and quality of what real ales have to offer. Sphinx has been designed to give newcomers to real ales an easy drinking, refreshing pint to ease them in to the world of flavoursome beers! At 4.3% abv its not too strong AND at £2.50 a pint its incredible value for money! 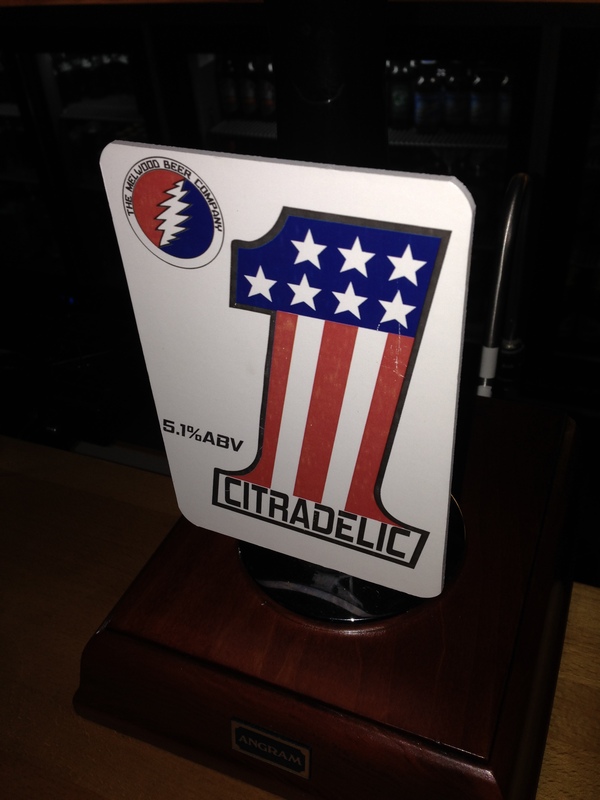 We also supplied the mighty CITRADELIC 5.1 to provide a contrast in our repertoire and this being £2.50 a pint also went down tremendously. John and Julie were around for a Meet the Brewers event and we really enjoyed meeting the fantastic students of the University of Liverpool and introducing them to new beers that have flavour and real oomph! to their fledgling palates. We had samples from our range of beers and we were on hand to talk about our beer, beer making and our ‘journey’ in the world of real ale. 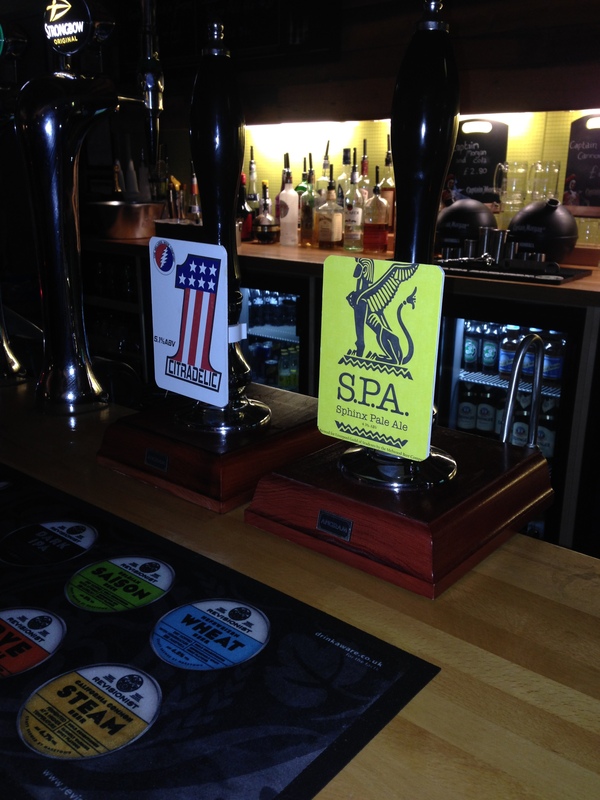 So the Sphinx Bar is open until 10.30-11pm each night and as said real ales are priced very cheaply at £2.50 a pint. The bar has a great ambience about it and the food is really very good. AND , get this, IT’S NOT JUST FOR STUDENTS!!!! Yes you heard right, anyone can go in and enjoy a fantastic pint of Sphinx Pale Ale on their permanent hand pull and another real ale on the other hand pull, anyone can buy meals from their superb menu (until 7pm Weekdays & 4pm Weekends) and you can even have a go on the console games that are provided in the corner or watch Sky Sports on the TVs! What’s not to love??? Thank you to Luke, Nick, Harry, Emma et al and look out for brewery tours coming up in the Guild’s calendar. 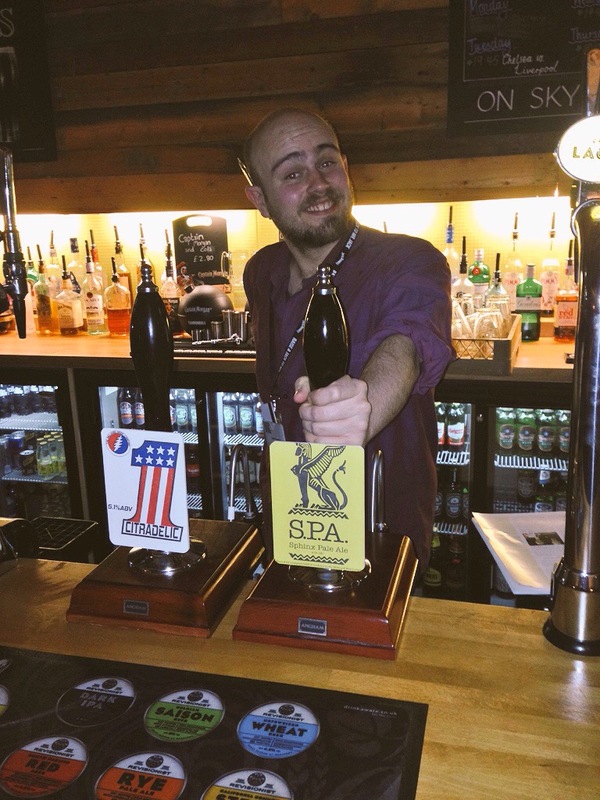 We’d love to see you all again but this time at our brewery in the park at Lord Derby’s Knowsley Estate!